Membership from the worlds largest Health & Safety practitioners is widely sought after and can greatly improve your career prospects. First you need to understand just what IOSH is and does. The only Chartered body for Health and Safety Practitioners in the world. IOSH is the “Institution of Occupational Safety & Health”. Their main goal is to promote health and safety globally. They are a UK based, international professional membership body for the health and safety industry. With 44,000+ members around the world, they have diverse international foundations. 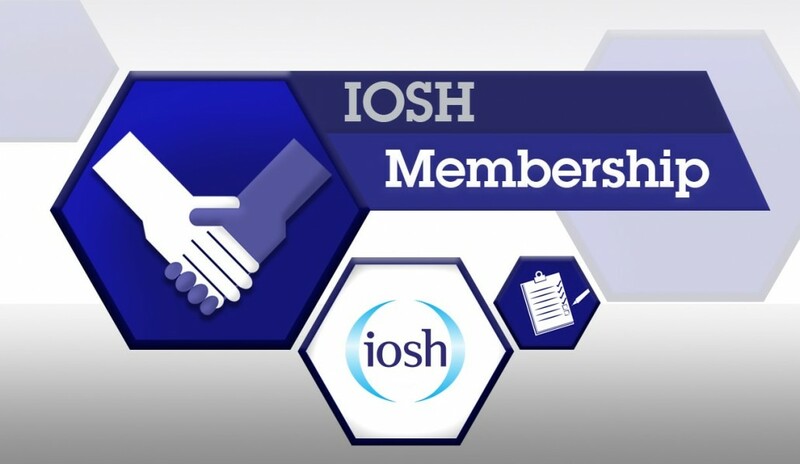 What are the main benefits of being a member of IOSH? Employers can quickly distinguish between You and Your rivals. Recognition of your aptitude within the industry. Globally recognised Continual Professional Development (CPD) program. Network of local branches and groups, with regular meetings. Post nominal letters pertaining to your membership level. Monthly subscription to the IOSH Magazine. Access to 300+ free or low cost seminars each year. There are 4 “entry” levels of IOSH membership and 2 additional levels. *We will not be providing information regarding becoming an IOSH Fellow, should you require assistance with this please contact IOSH directly. “Post Nominals” are letters placed after a person’s name to indicate that that individual holds a position, academic degree, accreditation, office, military decoration, or honor, or is a member of a religious institute or fraternity. How do I know what level of membership I should apply for?You don’t need to worry about this, IOSH will assess what level of membership you qualify for, based upon your qualifications, experience and current job role. You are limited to “Graduate Membership” when starting this process, moving up to “Chartered” and “Fellow” Membership will be explained later. How can I become a Chartered Member? Progression to “Chartered Membership” requires you to undertake an “Initial Professional Development” (IPD), and professional Interview with your peers. There are 2 types of IPD, the qualifications you completed to achieve “Graduate Membership” status determines which IPD route you follow. Following your IPD, you are required to undertake a successful “Peer Interview” before progressing to Chartered Membership. How do I apply for IOSH membership? Annual subscription fees are applicable. See here if you’re interested specifically in studying an online IOSH course. The process is relatively simple and painless. First for IOSH membership, students need to complete the online application form, pay the fee and send off their CV (or résumé). IOSH will review this and decide on the level of membership the candidate best fits into. It’s that easy. An example applying for IOSH Membership: If the student for example completes a certificate level qualification and his membership is TechIOSH, once the student completes the higher level such as diploma or NVQ level 5, the student can resend their details and IOSH will reassess the membership level they will assign to them. Once the student reaches GradIOSH membership level, the student will need to undertake a period of CPD (continued personal development) on the IOSH CPD system to work towards Chartered membership (the next level-up from GradIOSH). To help clarify below are some links you can use to help you, although as stated, it’s as easy as paying the fee and sending your details.